STEM Center Item of the Week! 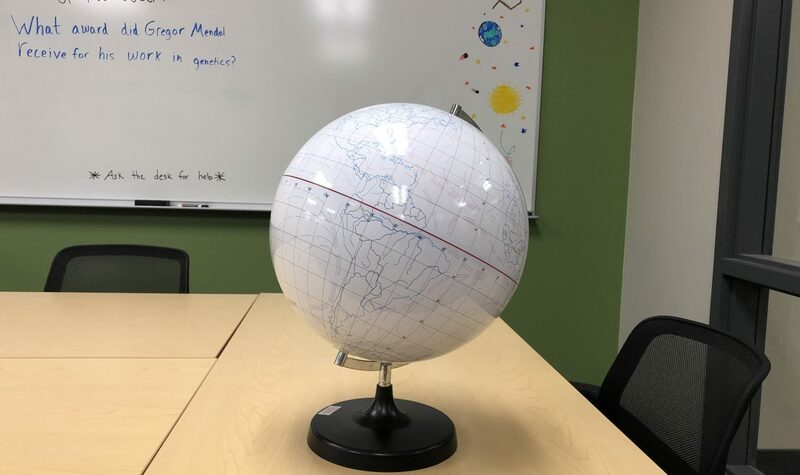 These dry erase globes are a great resource for teaching a number of STEM and humanities topics! The STEM Center has a ton of great resources to help you teach STEM and we are adding more items to our Resource Center. 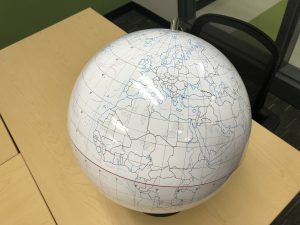 This week, we are featuring one of our new items: Write On Globes! You can write on these globes with a dry erase maker, which will easily wipe off with a soft cloth. The Write On Globes include an outline of all the continents and lines of latitude and longitude. These globes are a great way to help students learn concepts in geography, geology, climate science, and history. We currently have 6 globes available for lending. If you would like to check these out for your classroom or teaching activity, contact us or stop by the Resource Center.